This blog will feature articles of interested in the consumer audio-video world, as well as personal interest stories and activities that happen in our distribution warehouse in Minneapolis, MN. Various staff members will contribute to this blog throughout the year. We always welcome your feedback. With 4K Ultra HD TV prices dropping daily, one can now buy an entry level 4K TV set for just over $500. In the old days, you could take any HDMI cable, attach it to your video source (such as your cable box), and then to the TV, and bingo - a perfect 1080 lines of high definition video and digital audio. All that was required of the HDMI cable was that it could transfer at least 4.92 Gigabits per sec (Gbps) to produce the required 1080 output. 1080P with 3D support required a little more bandwidth. You needed a HIGH SPEED HDMI cable capable of a bandwidth of 10.2Gbps. Ultra HD video on the other hand is a different animal. Basic 4K (2160 horizontal by 3840 vertical pixels) can be rendered with a HIGH SPEED HDMI cable (one providing 10.2Gbps support). The holy grail of Ultra HD is currently defined at producing a 2160x3840 signal at 60Hz supporting 4:4:4 chroma sub-sampling. In order for an HDMI cable to perform this feat, it MUST support and sustain speeds of 18Gbps. Here is the big problem. HDMI over standard copper wire - even with the newest Redmere PRA1700 v2 equalizer chip - will only work to an absolute maximum length of 40ft. No company yet can produce - and have pass a stringent HDMI 2.0 signaling test - a cable beyond this length. HDMI over Fiber Optics will work up to 1000ft and support 18Gbps - but Fiber HDMI is very expensive. Problem #2. Most consumers that want the 4K@60Hz support are connecting their source video equipment (such as a 4K media player) using a short cable to their HDMI 2.0 home theatre system, and then running a longer HDMI cable out to their TV. With this specific configuration, distances of 40ft are not reliably achievable. Why not? Resistance is an HDMI cable's worst enemy. Although running your source media devices through a home theatre system is a desired way to be set up, such set-up can limit that final HDMI cable run to 25ft. A media player direct to a TV (for example) has only 2 connection points. That same media player run through a home theatre system now has 4 connection points plus the additional short length of HDMI cable to connect that media player to the home theatre system. Avoid using wired wall plates to make your installation "look" professional. Although some TVs are designed and will support "4K @60H supporting 4:4:4 chroma sub-sampling", do you really NEED it? The future of HDMI copper technology actually is bright. A number of manufacturers are in the final testing stages of creating a hybrid HDMI fiber/copper cable that should run up to 200ft and support the maximum 18Gbps bandwidth needed. This technology is expected to be finalized in mid-2016, and hopefully available shortly thereafter. My Cable Mart is working closely with these manufactures to beta-test such solutions - and once available - will make them for sale immediately. HDMI LLC on October 5, 2015 released NEW guidelines that an HDMI cable must achieve in order to be suitable for playback of 4Kx2K at 60Hz. Previously, when HDMI LLC released their Version 2.0 manufacturing guidelines, an HDMI cable needed to be manufactured and pass testing to the Version 1.4 specification AND must test and meet version 1.4 speed tests of at least 10.8Gbps. Essentially, if an HDMI cable could pass stringent tests using version 1.4 testing equipment, it could be marketed as a "certified version 2.0 High Speed Cable" capable of any 4Kx2K playback content up to and including 60Hz. With HDMI LLC's press release they have back-tracked on this requirement. HDMI are now rolling our what they are calling a "PREMIUM HDMI CABLE" certification program. In order for a specific cable to be certified as a "Premium HDMI Cable", it must have attached to the cable or packaging a tamper-proof, anti-counterfeit holographic label with a 2D barcode that can be scanned. When scanned, if will provide you with a web link to the certification document for that specific cable model series. My Cable Mart LLC is working with our manufacturing group to enroll in this new "Premium HDMI Cable" program. We expect cables manufactured in Q2 of 2016 to bear this holographic label verifying its authenticity. Until such cables are released with this new labeling requirement, customers can rest assured that if we state that our High Speed HDMI cables have been tested to speeds of 18Gbps (or better), that we will guarantee they will work with today's and tomorrow's 4Kx2K @60Hz displays. USB 3.1 is out, and we are hoping to have USB 3.1 cables available within the next 4 to 6 weeks. The USB 3.1 connector will look similar to the Apple lightning connector (reversible) and have 8 wires internally. USB 3.1 technology is expect to support data bandwidths of up to (and possibly beyond) 18Gbps - or the same as HDMI 2.0 High Speed cables. Well, along with high speeds comes with the same problem that HDMI faces - long length. Currently, USB 3.1 HIGH SPEED cables will only be available in shorter lengths (such as 6, and possibly 10 feet). However, with the recent Spectra7 announcement of their new "ACTIVE-C" chip, much longer lengths are expected to be supported going forward with support up to 21.6Gbps. A competitor to HDMI? Possibly. USB 3.1 will have the ability to supports mainstream devices (such as printers, cameras, tablets, phones), and even provide POWER and charging capabilities up to 20V/100W and 5 Amps - enough to charge most laptops. All the major phone companies, small tablet devices, and major computer manufacturers - lead by Apple - will soon (or already are) supporting USB 3.1. It will be referred to as a "Gen 1" products (supporting 5 Gbps) and a "Gen 2" products (supporting 10 Gbps). HDCP 2.2 is just around the corner - and will cause many phone calls from confused consumers. This version number is NOT to be confused with HDMI 2.0 (which really is just HDMI v1.4 supporting HIGH SPEED capabilities). C-NET has a great article on HDCP 2.2 and how it will affect the marketplace. HDCP 2.2 (previous version was 1.2) introduces a new COPY PROTECTION (HIGH-BANDWIDTH DIGITAL COPY PROTECTION). Why are they doing this? Word is that someone has cracked the HDCP 1.2, and you can now buy cheap products that will bypass HDCP 1.2 and allow for recording of Hi-Def movies to BluRay burners and hard drives. The movie makers are paranoid about movie-theatre grade UltraHD (aka 4Kx2K technology) being copied. This new technology will see a roll-out starting in late 2015, and be main-stream for all 4K TV sets by 2016. "The current crop of 4K TVs from Samsung, LG, Panasonic, and Sony, etc. list HDCP 2.2 compliance in their specifications. This is a good sign. If you have a 4K TV already, or are looking at a non-tier 1 brand, make sure you scour the specs for HDCP 2.2. If it's not 2.2-compliant, you might be out of luck as this new encryption is rolled out." What does this mean for cables? Nothing. Our current version 1.4/2.0 HDMI cables - including those with the REDMERE PRA1700 chipsets - will ALL support HDCP 2.2 technology. This technology for the most part is everything to do with the hardware in source devices and TVs, and very little to do with the cables. HDCP 2.2 is supported with both standard speed and high speed HDMI cables (version 1.3, 1.4, and 2.0). So, "Do our cables support HDCP 2.2?". The very simple answer is YES - but in order for their EQUIPMENT to support HDCP 2.2, both their TV and source devices must also. In late Fall of 2013, HDMI LLC released final specifications for the new HDMI 2.0 standard. With the new 4Kx2K Ultra HD TVs hitting the market mainstream, this revision change is becoming more important when choosing your HDMI cable. In order for your equipment to support the 4Kx2K technology a cable supporting AT LEAST 10.2Gbps must be used. If you purchase an HDMI cable and it supports 10.2Gbps, it will meet the new HDMI 2.0 specifications. HDMI 2.0 did not introduce a new connector type - nor a new physical cable type. It merely defined a SPEED capability that a cable needs in order to support this higher resolution. Please see our HDMI 2.0 Information help link for more information. Our GRAND OPENING today of our first retail store - located in the South-West metro area of Minneapolis! You can now buy on-line and have us ship your order, have it ready at our will-call location, or - browse our 1,800 products in our NEW store. Click HERE for Grand Opening specials! Let's talk about connecting your home theater system for the best results possible. Your brand new electronics are: TV, HDMI receiver (also called a Home Theatre Receiver), a Blue-Ray Player, Cable Box and three 10ft high speed HDMI cables. You're jumping up and down with joy and then you realize someone has to connect all of these new electronics. Well let's see if I can walk you through it a little bit and give you a general idea of what to do or at least get you going in the right direction. Picture your receiver as the brains of this whole operation. A HDMI receiver will typically have multiple HDMI INPUT ports and one (and sometimes two) HDMI OUTPUT ports. Now that we've located the brains of this operation let's give it some information to process. We will use two of the input HDMI ports on the receiver; to one plug in the Cable box using an HDMI cable, and using another HDMI cable, the Blue-Ray player to the receiver. Now that we have information flowing into the receiver (brain), we need to get this information OUT to the TV. On the receiver locate the HDMI OUTPUT port. From there, you will connect an HDMI cable to it, and run it to one of the TV's HDMI INPUT port. Each Home Theatre set-up and cable lengths will be different. Good luck on your project and if you have questions on what to purchase feel free to call and we will do our best to get your questions answered. For people who are not familiar with how order picking warehouses work, I will try paint a picture into our world for you. Picture your local grocery store. Now picture a lot less people and no free samples. So the typical shopper has a grocery list with what they want to purchase that day. More advanced shoppers know exactly where their items are without the mindless wandering and wondering if spaghetti sauce is in the condiment aisle or in the actually spaghetti aisle. But if you're like me you end up walking around with your list standing in the middle of an aisle wondering if you already walked by your item without even knowing. Now imagine your grocery list had an exact location for everything on it. For example: Pepsi, Aisle D Shelf 3 or for short D-3. And imagine this Pepsi is in multiple locations in the grocery store just in case there's a shortage of Pepsi in the world and there was a rush to the local grocer for all the Pepsi. In that case there would be Pepsi located in D-3, F-1, G-2. Now imagine everything on your grocery list had these exact locations. When we have orders come into the warehouse that we need to fill, all of your parts have a location in our warehouse to let the order picker know it's location. You can actually see what we see on our website when you select any part. The line labeled "location" is what we actually use to locate your parts. So just like your grocery list we have a list of things ranging from TV mounts, HDMI cables, wall plates etc. We take pride in an organized warehouse that way we can find, pick and pack your order and get it to you as quick as possible. Hopefully that gave you a quick glimpse into our world of order picking...Still looking for the spaghetti sauce. The topic today is going to be HDMI splitters. I guess we should start with the basics. An HDMI splitter allows you to split one HDMI source signal to two or more outputs. Most HDMI splitters are 1:2, meaning you start with one source and can split the signal into two. We offer other configurations that will support just about any situation. Including even things like sports bars with many displays. You might use an HDMI splitter to duplicate the signal from your cable box so you can watch it on two televisions. An HDMI splitter is not to be confused with an HDMI switch. The most popular question I get on a day to day basis would be just that. The difference between an HDMI splitter and an HDMI switch. Again, an HDMI splitter allows you to send a signal from 1 source to multiple displays and an HDMI switch allows you to plug in multiple HDMI sources (Blueray, Cable/Sat box, etc.) to a display. Using a switch is common for people who run out of HDMI inputs on their TV. There are also products out there called HDMI repeaters that will boost a signal when running long HDMI cables typically starting around the 50ft marker. But the repeaters and switches can be covered at another time. It just seems I get lots of customers asking about those three items and their differences. So hopefully that clears things up for everyone. Now back on track with the main reason for today's writing. HDMI splitters and how to choose. HDMI splitter styles, types and prices can vary. A couple things to look at would be the resolution support the switch offers. The output source (such as your Blueray) cannot always match the display devices resolution capabilities. Fortunately, the configuration and design of many of the HDMI splitters make it possible for high quality signal to be sent to each and every output. The HDMI cables that you use can make a difference as well. A general rule of thumb is getting your hands on a thicker gauge cable or something with some high speeds. Length is a big deciding factor here as well. The thicker gauge cable such as 26 AWG are recommended for lengths of 3 to 15ft and for anything longer try getting into the 22 AWG range. This will ensure the best possible connection with little to no resistance. Luckily most of our splitters are powered and can boost signals up to 50ft. Resolution is another topic to cover briefly. Your picture quality is limited to resolution that BOTH TVs support - no matter how great your cables are, or how amazing your splitter is. If your running full 1080p out of a Blu-Ray player and into one 720p TV and one 1080p, you will be limited to the 720p. I hope some of this information was found useful. It was just a basic rundown of questions and topics that come up through my day with customers. If you have questions or concerns feel free to call or email our techs. E-commerce companies took a major hit on the chin when UPS, FEDEX, and the USPS announced their rate increases for 2013. UPS and FEDEX "officially" announced rate increases of 4.9%. Their press release does not tell the whole story, however. This figure is extremely misleading, according to Paul Demery of Internet Retailer. "Overall, most e-commerce retailers will have a rate increase of about 7% or 8%". The rate increases are much more severe for packages weighing less than 30lbs - which cover the majority of nearly all packages shipped by e-commerce companies. UPS and FEDEX also announced further rate penalties for deliveries to residential addresses assessing surcharges of $2.80 for a residential delivery when compared to a delivery to a business address at the same ZIP code. Not to be outdone, the USPS announced rate increases of about 9% that will take effect January 27th, 2013 - affecting Priority Mail and 1st Class Parcel rates. So, when you see the shipping rates and wonder if the e-commerce companies are getting rich with increased shipping rates, think again. The shipping companies have implemented rate increases that far exceed inflation - even when factoring in fuel cost increases (which lately, have remained flat). Most e-commerce companies, MyCableMart.com included, have direct data links to retrieve "rate quotes" directly from data servers from UPS and USPS. The destination ZIP code and package weight information is sent to their servers, and within a second or two, shipping rates are calculated, retrieved, and displayed on ecommerce websites during the checkout process. My Cable Mart allows the customer to pick their delivery company (UPS or USPS), and the service speed level that they need for their order. E-commerce website will have no choice but to accept these ever increasing shipping rates. My Cable Mart is experimenting with using lighter packaging materials and shipping supplies to attempt to reduce the overall package weights. As the package weights are reduced, listed product weights can also be reduced, thus saving the customer money. We do get periodic complaints from customers wanting to know why don't we offer "free shipping". Very few e-commerce websites - except during promotional periods - offer free shipping anymore. 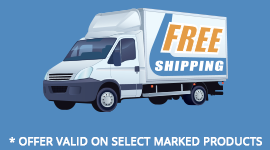 Websites that DO make such offer typically mark up the products upwards of 10 to 15%, and then offer the so-called "free shipping". My Cable Mart instead offers fair prices for their products without this padding, and then calculates the shipping costs directly from UPS and USPS and lets the customer choose the best shipping option. In addition, orders placed before 3pm (for USPS packages) and 4pm (for UPS orders) are shipped out the same day they are received. Customers know that this expedited order packaging and shipping process can save them money as they can select a slower shipping method knowing their package will immediately go out the door. Many "Big Box" websites take up to a week to package and prepare and orders for "immediate shipping". Not at My Cable Mart. Immediate package processing and shipping is the number one priority. For example, 3ft HDMI cable, with appropriate padded envelope packaging weighs 0.3lbs (or 4.8 ounces) can be shipped to all corners of the USA by 1st Class Mail (a 2-3 day air service) for $2.48. This is still a bargain. Customers will need to be careful when selecting their shipping methods going forward, and consider "slower" shipping methods to keep some savings. 2012 was a good year for My Cable Mart. We completed our transition from a company that purchases their products from distributors to a manufacturer. We now manufacturer 95% of all products that are listed on our website. Many of you have noticed significant price decreases of our products during this transition. In addition, our "Quantity Price Breaks" have had an even greater price drop when buying in quantity. Reseller Tier Pricing will shortly be implemented, which will provide automatic product pricing for our value resellers instead of using a coupon code. Product Reviews will allow you to see first hand from previous customers how well a specific product met their expectations. New Distribution and Showroom - Yes, we are MOVING! We have signed a long-term lease for a NEW warehouse facility in Eden Prairie, MN. This new modern facility will be twice as large as our current location and will offer an expanded customer pickup location, a showroom, and a large warehouse that will greatly streamline our order-picking process. It is pretty easy to get caught up in this. Don labeled this exactly correct - this is nothing more than a scam, smoke and mirrors, and lies. Big Box buys these "high priced" (and good quality) cables for pennies on the dollar, and actually tries to make you feel guilty for NOT jumping on-board. Big Box only makes a small amount of money on the TV, BlueRay, and receiver. In fact, it is widely believed that BlueRay players are now "lost leaders' being sold at below-cost simply to get you in the store. You are then waltzed you down the HDMI Cable isle for the real killing. Don't fall for it. Stay strong! Get your AV equipment (if you desire) at Big Box - and get out. Do not pass go! HDMI Cables use digital technology (yes, oh's and one's) to encode video and audio signals, then transmits them using technology similar to a bundle of ethernet cables to a display device. These 0's and 1's are then decoded at the TV end, and displayed perfectly on your TV. For many years, the HDMI saying goes "Your HDMI cable is either going to get that signal there perfectly or not at all". There is no such thing as getting a BETTER picture using a more expensive cable. 0's and 1's don't get sharper. It is an impossible electronic and digital fact. Granted, just like ethernet cables, 0's and 1's can have difficulty getting to that TV if the HDMI cable does not meet minimal bandwidth requirement resulting in a partial or complete signal loss. Or, if the HDMI cable is made too cheaply, one or more of the 19 connection points might not be properly terminated. But if you plug that HDMI cable into your equipment, and you have uninterrupted video and audio, the task has been completed. 100.0 percent. Without breaking the bank. I took a technical sales call today from a customer who asked "Why would I ever need a 20.1Gbps HDMI Cable that costs $27.16 compared to your $6.39 cable - which is ALSO high speed but only 10.2Gbps?". Hmmm...How much time do I have? So I asked the normal questions we ask our customers (What are you hooking up, are you running this through a receiver, and are any devices 3D capable?). The customer actually had a simple installation (cable box to an HDTV), so I explained that the $6.39 cable would provide the exact same picture as the ELITE SERIES $27.16 cable whose specifications show twice the data speed capabilities. So that led to the question, why and when does ANYONE need an HDMI cable that is capable of such speeds (and bandwidth capabilities). For today's technologies - nobody. Buying HDMI cables that greatly exceed the 10.2Gbps (which is the benchmark such cable must reach to be called "High Speed") really does not serve a true purpose. Our ELITE SERIES HDMI cables are designed for people that seek out the BEST POSSIBLE HDMI cable that can be manufactured. Having a much higher bandwidth capability DOES allow for one to have "extra capabilities" for down the road, or when using such cable in a multi-segment configuration - with wall-plates, splitters, switches, and through receivers. Multi-segment HDMI connections have multiple additional resistance points when having to run through multiple devices. By starting out with an HDMI cable with extra "capacity", after the signal has been run through all devices (or connections), there is a very good chance the end result will be at or above the 10.2Gbps needed to run high speed devices. So, what devices actually NEED a high-speed HDMI cable? To date, a 3D BlueRay player connected to a 3D HDTV, and a 2Kx4K TV or projector. Today's cable boxes, media players, and satellite players only need a standard speed cable. Each of the above factors - in the order of most influential to least - will play a factor in how an HDMI cable will perform. A 28AWG HDMI Cable, properly shielded with tin plated copper wires will generally pass ATC high speed testing up to 12 feet. Beyond 12 feet, a 28AWG cable will generally not pass ATC testing (for high speed) unless a suitable equalizer chip (such as a Redmere Chip) is made into such cable. A 15 foot HDMI cable will generally pass ATC testing if made using a slightly thicker 26AWG cable. A 20 foot will need 24AWG cable. A 25 foot will need 22AWG. Beyond 25ft becomes more difficult. Enter REDMERE TECHNOLOGIES. REDMERE have developed award winning equalizing chips that can take a cable (that would normally not pass HIGH SPEED data testing) into a high performance and HIGH SPEED HDMI cable support lengths of 50 feet and beyond. We have since passed Black Friday and Cyber Monday, which is the traditional start to the shopping season. E-Commerce used to be a non-traditional method of purchasing holidays gifts. These days, however, it has become more of the norm. Consumers typically open up multiple browser windows, each with their favorite (or recently googled) site to try to find the best deal on everything. We are no different. In November, for example, we had over 100,000 paid clicks (yes, Google makes a ton on us). Many customers proceeded to complete an order with us. We hope to be your "different" E-commerce site by doing things a little differently. First, we vow to ship your order out the same day that you submitted it (before 3pm for postie orders, and by 4pm for UPS orders). It doesn't stop there. We have designed our tracking system to continue to monitor your shipment until delivery is made. If there are any in-transit issues, we investigate, and attempt to assist. Still, it doesn't stop there. What really sets My Cable Mart apart from our competitors is our after-sales customer service. Hopefully, you will not run into any issue that needs you to return a product to us. Periodically - as we are dealing with an electronic component - something does not go perfectly, and you need to re-contact us to get it right. This is where we shine. As president of My Cable Mart, I have emphasized from day one with our team that when a customer has an issue with an order, that issue becomes our number one priority to get it fixed - on the same day the issue is reported to us. This might mean a simple call from our Tech Support group, or the necessity to send out a replacement product.